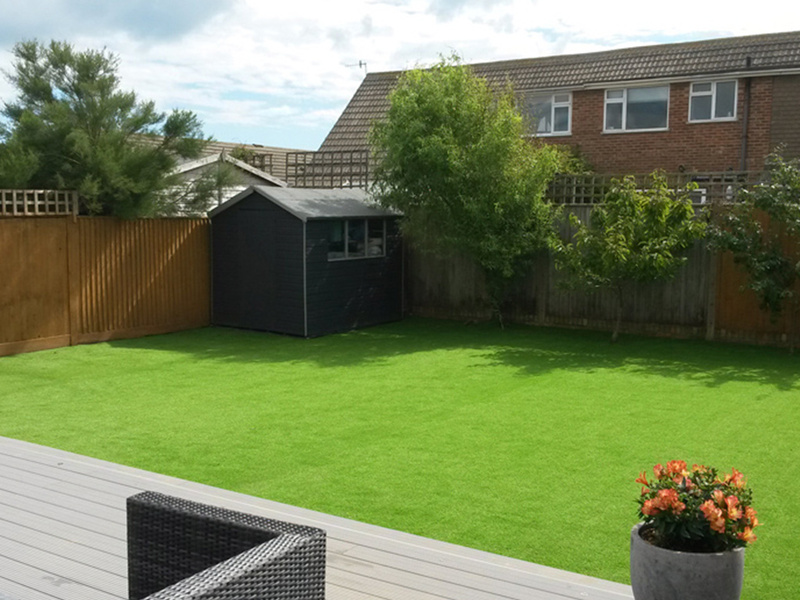 Artificial grass is an increasingly popular choice for homes, businesses and educational establishments due to its durability, low maintenance requirements and child friendly properties. Not to mention the fact it looks amazing all year round and completely transforms any sized area - both inside and outside. As specialists in driveways, P&D Driveways became aware of the need for quality landscaping around driveways. 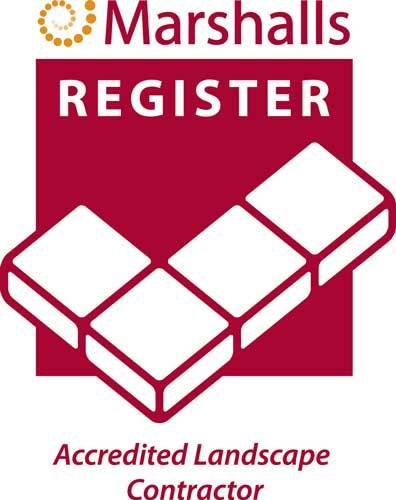 From here our sister company, Eco Lawns, was born and we became accredited members of the Marshalls register of “Approved Landscapers and Driveway Installers”. 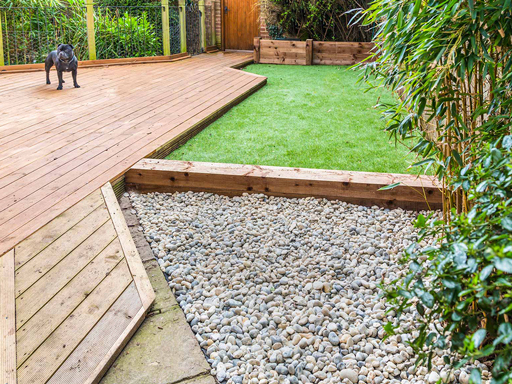 Our family run team are trained in the installation of artificial grass and whilst we use products of the highest quality (Always Green by Marshalls), our prices are extremely competitive. Ideal for commercial settings due to its high versatility benefits, artificial grass offers an extremely robust option that is both low maintenance and aesthetically pleasing. We work with a range of businesses in Eastbourne and Sussex ranging from hotels to schools, swimming pools to caravan parks. Artificial grass can be used indoors and outdoors and benefits from the ability to withstand extreme levels of wear and tear - making it ideal for commercial settings with large foot traffic. All our orders are bespoke and made to measure allowing our lawns to be fitted to any area regardless of the shape or size. Imagine a lawn that needs no attention, never has muddy patches and does not leave muddy footprints in your home when the children have been playing outside. An artificial lawn installation not only transforms your garden from an aesthetic perspective but it also requires hardly any maintenance - leaving you free to sit back and enjoy your outside space. Our team install the correct drainage solutions to ensure the finish of your lawn is even and stands the test of time. With a 10 year guarantee against UV damage and inbuilt UV protection you are guaranteed a lawn that looks great for years to come. What are the Benefits of Choosing Artificial Grass? Durable – Keeps your lawn looking as good as new for years to come. Versatile – It can be used on a wide range of outdoor and indoor settings. Appearance – Beautiful even colour, free of mud patches and moss. We only use the most authentic looking grass. Child and Pet Friendly – No toxic properties, hypoallergenic and easy to clean. Low Maintenance – No weeding required. You can simply wipe clean. Fully Guaranteed – 10-year guarantee against UV damage. Home Made – Our products are 100% British made. For more information please contact our team today on 01323 486760. 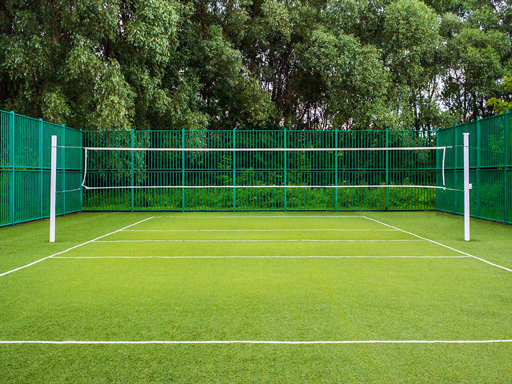 We can transform any setting, whether it is the area surrounding your new driveway or inside a children’s play area, our beautifully manufactured artificial grass provides a long-term and cost-effective solution. Or, take a look at our sister site, www.ecolawnssussex.co.uk for further information.